Born in 1967 in London. 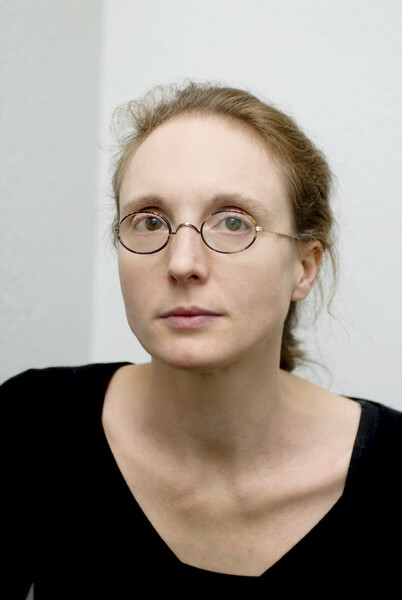 Rebecca Saunders studied composition with Nigel Osborne in Edinburgh and with Wolfgang Rihm in Karlsruhe. She lives in Berlin and is a member of the Academy of Arts in Berlin and the Saxon Academy of Arts in Dresden. Her music has been recognised with numerous awards including most recently the Mauricio Kagel Musikpreis in 2015, a British Composer Award for the trumpet concerto Alba in 2016 and in 2017 the Royal Philharmonic Society Award for Skin. Since 2003 she has pursued an intense interest in the sculptural and spatial properties of organised sound: chroma (2003-13) and Stasis (2011/16) are expanding spatial collages of up twenty-four chamber groups and sound sources set in radically different architectural spaces. Insideout, a 90-minute collage for a choreographed installation, was her first work for the stage and was created in collaboration with Sasha Waltz. In 2016 her extended violin concerto Still (2011/16) was performed at Darmstadt Summer Course in collaboration with the choreographer Antonio Ruz, the dancers of Sasha Waltz & Guests, Carolin Widmann, the Junge Deutsche Philharmonie, conducted by Sylvain Cambreling. Skin, her first in an extended series of compositions with soprano, was followed in 2017 by the 80-minute spatial installation-composition Yes for soprano, 19 soloists and conductor. I am sitting in an ICE high speed train copying up an e-guitar solo and I love the singing glissandi overtones of the train as we race along 230 kph. The glissandi are joined by the booming bass of the train which is like a massive whammy bar being executed on an e-guitar. Pretty inspiring stuff at this moment. Composing is for me very much about unearthing and exploring a fragment of sound, seeking out its multitudes of resonances, to bore into its very core. Sometimes it could be anything, but what’s important is giving that special sound the necessary time, focus and attention, absorbing it and trying to define a framework or an acoustic context for it. And then the composing may begin.